False-face computer vision camouflage patterns for Hyphen Labs’ NeuroSpeculative AfroFeminism at Sundance Film Festival 2017. HyperFace is being developed for Hyphen Labs NeuroSpeculative AfroFeminism project at Sundance Film Festival and is a collaboration with Hyphen Labs members Ashley Baccus-Clark, Carmen Aguilar y Wedge, Ece Tankal, Nitzan Bartov, and JB Rubinovitz. NeuroSpeculative AfroFeminism is a transmedia exploration of black women and the roles they play in technology, society and culture—including speculative products, immersive experiences and neurocognitive impact research. Using fashion, cosmetics and the economy of beauty as entry points, the project illuminates issues of privacy, transparency, identity and perception. HyperFace is a new kind of camouflage that aims to reduce the confidence score of facial detection and recognition by providing false faces that distract computer vision algorithms. HyperFace development began in 2013 and was first presented at 33c3 in Hamburg, Germany on December 30th, 2016. HyperFace will launch as a textile print at Sundance Film Festival on January 16, 2017. Together HyperFace and NeuroSpeculative AfroFeminism will explore an Afrocentric countersurveillance aesthetic. HyperFace works by providing maximally activated false faces based on ideal algorithmic representations of a human face. These maximal activations are targeted for specific algorithms. The prototype above is specific to OpenCV’s default frontalface profile. 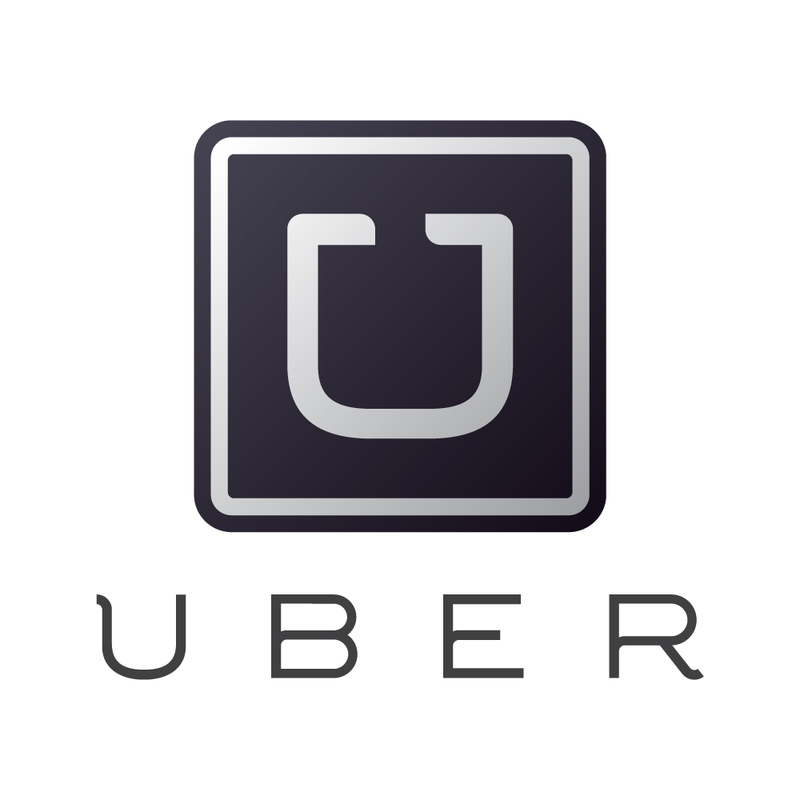 Other patterns target convolutional nueral networks and HoG/SVM detectors. The technical concept is an extension of earlier work on CV Dazzle. The difference between the two projects is that HyperFace aims to alter the surrounding area (ground) while CV Dazzle targets the facial area (figure). In camouflage, the objective is often to minimize the difference between figure and ground. HyperFace reduces the confidence score of the true face (figure) by redirecting more attention to the nearby false face regions (ground). Conceptually, HyperFace recognizes that completely concealing a face to facial detection algorithms remains a technical and aesthetic challenge. Instead of seeking computer vision anonymity through minimizing the confidence score of a true face (i.e. CV Dazzle), HyperFace offers a higher confidence score for a nearby false face by exploiting a common algorithmic preference for the highest confidence facial region. In other words, if a computer vision algorithm is expecting a face, give it what it wants. The patterns are still under development and are expected to change. Please check back towards the end of January for more information. Displayed patterns are prototypes and are currently undergoing testing. 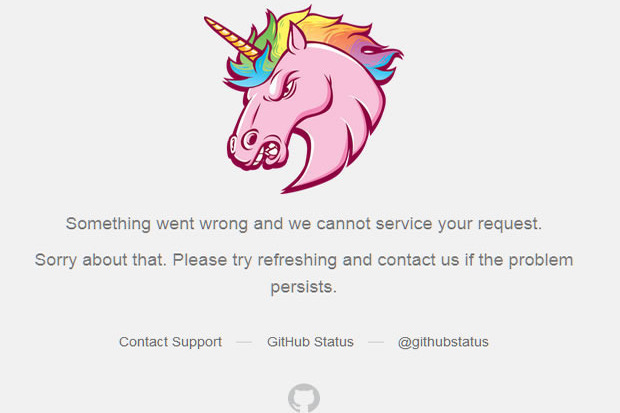 GitHub has been hammered by a continuous DDoS attack for three days. It's the "largest DDoS attack in github.com's history." The attack is aimed at anti-censorship GreatFire and CN-NYTimes projects, but affected all of GitHub. The traffic is reportedly coming from China, as attackers are using the Chinese search engine Baidu for the purpose of "HTTP hijacking." According to tweeted GitHub status messages, GitHub has been the victim of a Distributed Denial of Service (DDoS) attack since Thursday March 26. 24 hours later, GitHub said it had "all hands on deck" working to mitigate the continuous attack. After GitHub later deployed "volumetric attack defenses," the attack morphed to include GitHub pages and then "pages and assets." Today, GitHub said it was 71 hours into defending against the attack. These days, there are plenty of people out there who like to code, either for money or for fun or for both. But, apparently, there’s also a growing interest in watching other people code. How else to explain the new site Watch People Code, which lets you, well, watch people code, live? The site is actually based on the subreddit WatchPeopleCode, which launched last month. The subreddit tells you about upcoming coding sessions you can watch, live sessions currently underway and past sessions which are archived and available for viewing. For example, there have been sessions on building a custom Pandora client, writing command line tools in Rust, and building a search engine. The Watch People Code site simply makes it a little easier to watch streams from the WatchPeopleCode subreddit that are currently live or coming up. It’s generated some chatter among developers, and the feedback has generally been positive, with most people feeling that it’s a good way to learn and improve your own coding. For example, here are a few comments written by developers on discussion forums such as Hacker News. 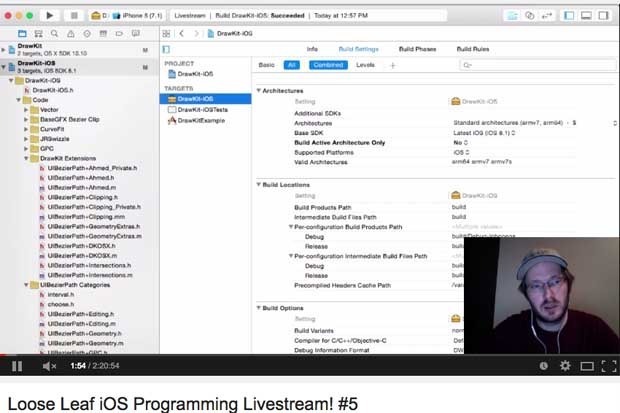 Live streams of people coding isn’t a totally new thing. Twitch.TV offers live streams of game development, as does Ludum Dare. Plus, you can also go directly to YouTube’s collection of live streams and find people programming. It’s not only coders who may enjoy watching people program. A non-programmer friend of mine, for example, after I brought Watch People Code to her attention, found herself oddly mesmerized by watching someone code. “This is oddly interesting,” she said. SAN DIEGO, Jan. 5, 2015 /PRNewswire/ -- Qualcomm Incorporated (NASDAQ: QCOM) today announced that its subsidiary, Qualcomm Life, Inc., has been selected by Novartis, a global pharmaceutical leader, as a global digital health collaborator for its Trials of The Future program. Qualcomm Life's 2net™ Platform will serve as a global connectivity platform for collecting and aggregating medical device data during clinical trials to improve the convenience and speed of capturing study participant data and test results to ultimately gain more trial efficiencies and connected experiences for participants. The Trials of The Future program is designed to leverage health care technology to improve the experience of clinical trial participants and patients using Novartis products, and provide connectivity with future products marketed by Novartis. Novartis will combine the 2net Platform, 2net Hub and 2net Mobile technologies with designated medical devices to automate the collection of vital patient data at patient's homes during clinical trials. "Novartis is a pioneer in putting technology to use in advancing pharmaceutical innovation," said Rick Valencia, senior vice president and general manager, Qualcomm Life. "Standardizing on the tech-agnostic 2net Platform and accessing the robust ecosystem of integrated medical devices will provide them a great range of flexibility and scalability, ultimately accelerating their efforts to design more efficient, cost-effective clinical trials." Novartis is using the 2net Platform in a recently-launched clinical study, evaluating the use of mobile devices with chronic lung disease patients. The study, which is observational in nature and does not involve any Novartis pharmaceutical product, leverages 2net Mobile-enabled smartphones and 2net Hubs to seamlessly collect and aggregate biometric data from medical devices and transmits this data to the cloud-based 2net Platform, which securely sends the data to the study coordinator. Qualcomm Life will showcase chronic care and transitional care management demos at booth #8525 in Central Hall, Las Vegas Convention Center. James Mault, MD, F.A.C.S., vice president and chief medical officer, Qualcomm Life, will participate in a fireside chat on what is new in Quantified Self from 3:30-4:30 p.m. in the Las Vegas Convention Center Room, N621 on Monday, January 5. Rick Valencia, senior vice president and general manager, Qualcomm Life, will participate in a fireside chat with Corinne Savill, head of business development and licensing, Novartis, titled "Pharma goes Techy and Consumers Score" from 9:40-10:04 a.m. at the Digital Health Summit at the Venetian level 2 Bellini Room 2004 on Thursday, January 8.